ISLAMABAD: The government’s policy to appease legislators of the ruling party by discouraging agriculture-related imports has come to haunt textile exporters who are now facing new curbs on their raw material imports due to introduction of non-tariff barriers. The textile sector had recently won some concessions from the government but it is again knocking the door of cabinet members. The importers face a new challenge in the shape of restrictions on import of cotton – their basic raw material that – is in shortage in Pakistan. For the last many years, the country is meeting cotton needs by importing the commodity from India and Brazil, as local production is not sufficient to meet total requirements. For the current fiscal year 2017-18, the federal government has estimated cotton production at 13.6 million bales against a total requirement of around 14.3 million bales. But cotton cultivation remained at only 6.8 million acres, which is 88% of the target and would result in farmers missing the production target by at least one million bales. Despite the deficiency, the Ministry of Commerce issued a notification that placed new restrictions on cotton imports along with 580 other items. This time, the government has chosen a time-tested technique to discourage millers from importing cotton, after imposition of duties and taxes could not stop the cotton imports. In the name of containing the growing import bill, the government has heavily targeted agriculture-related imports by introducing non-tariff barriers (NTBs). The import of cotton linters will be subject to valid import permit, valid phytosanitary certificate and plant protection release order of Department of Plant Protection of the Ministry of National Food, Security and Research. As per the new restrictions, the Plant Production Department will issue import permits that will allow only one shipment and will not cover partial shipments under one permit, according to a complaint that Diamond International Corporation Limited registered with All Pakistan Textile Mills Association (Aptma). Before introduction of the NTB, the millers were allowed to import the commodity in more than one shipment against one permit, depending upon the availability of cargo and better prices. The millers want the government to continue with the old arrangement of issuing import permits for cotton imports covering partial shipments to avoid unnecessary delays that will also increase costs. Cotton is not the only commodity that the PML-N government has targeted. It has also imposed similar NTBs on imports of onions and tomatoes. Both commodities are in shortage in the local markets and their prices have skyrocketed, affecting almost every household. This has been done to appease a group of Members of National Assembly of the PML-N that the government cannot afford to annoy due to the precarious political situation, said an official in the Ministry of Food and Agriculture. But politicking carries huge implications for every household besides the possibility of hurting textile exports that are already struggling due to a high cost of doing business. Exports have slightly picked in recent months on the back of concessions announced by the government. But these benefits may erode due to high cost of doing business. Because of pressure from a group of legislators, the government also seems to be backtracking from its promise of lifting 9% taxes on duties that it had reintroduced earlier this year in the name of encouraging the farmers to grow cotton. A delegation of the Aptma on Saturday met with Food and Agriculture Minister Sikandar Bosan and requested him to lift the duties with effect from January 2018. The minister showed his inability to meet the demand despite making a promise, said an office bearer of Aptma. The government charges 4% customs duty and 5% sales tax on imports of cotton. Despite levying of these duties and taxes, the imported cotton is roughly 16% cheaper than the locally produced cotton which is a big source of attraction for the textile millers. 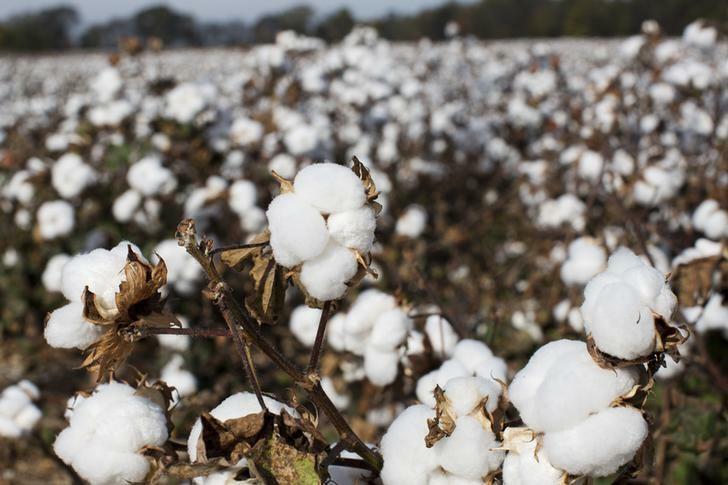 In addition to introducing certification requirements, the federal government also imposed restrictions on import of Indian and Brazilian cotton in May this year. The cost of energy may also go up for the industries after National Electric Power Regulatory Authority’s decision to increase electricity tariffs by roughly Rs1.50 per unit. Prime Minister Shahid Khaqan Abbasi is expected to approve the increase next week. Compared with roughly Rs11 per unit cost in Pakistan, energy is available at Rs7 per unit in Vietnam and India – the two main competitors of Pakistan. Same is the situation in case of RLNG that costs Punjab-based industries $11 per mmbtu.